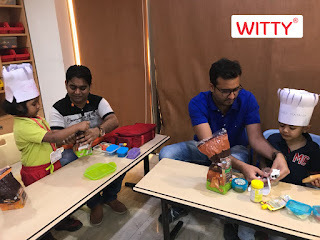 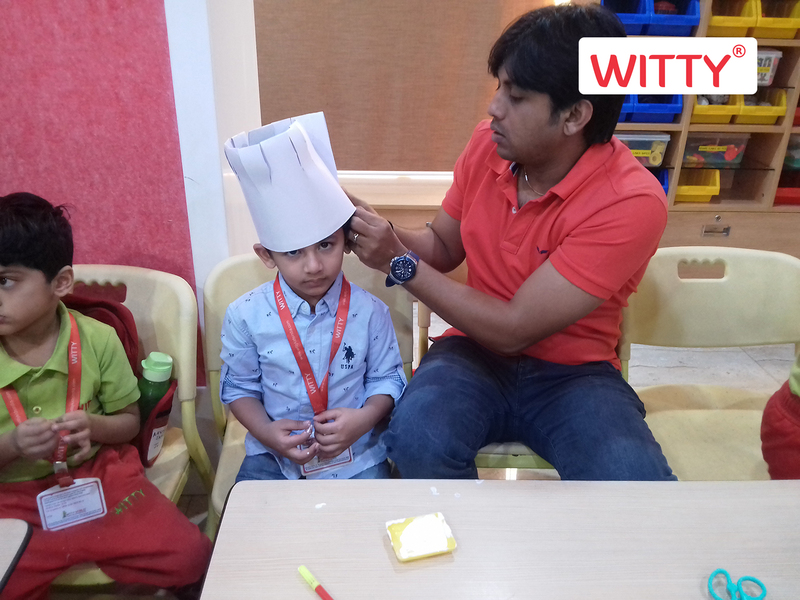 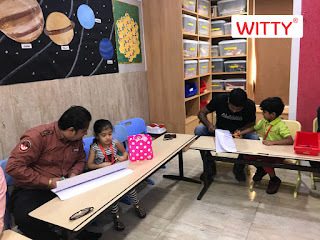 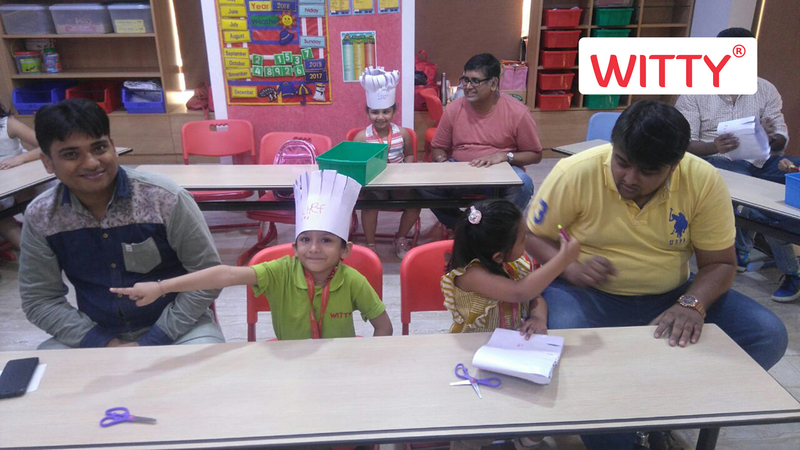 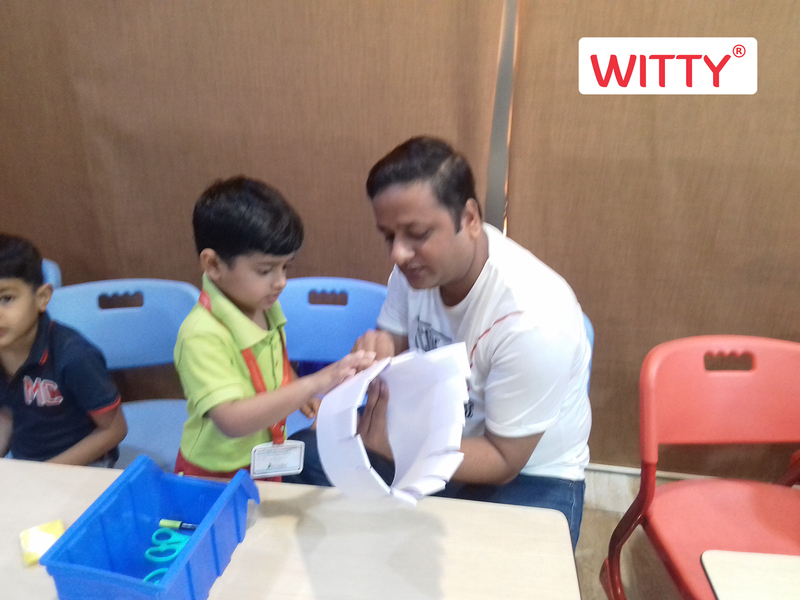 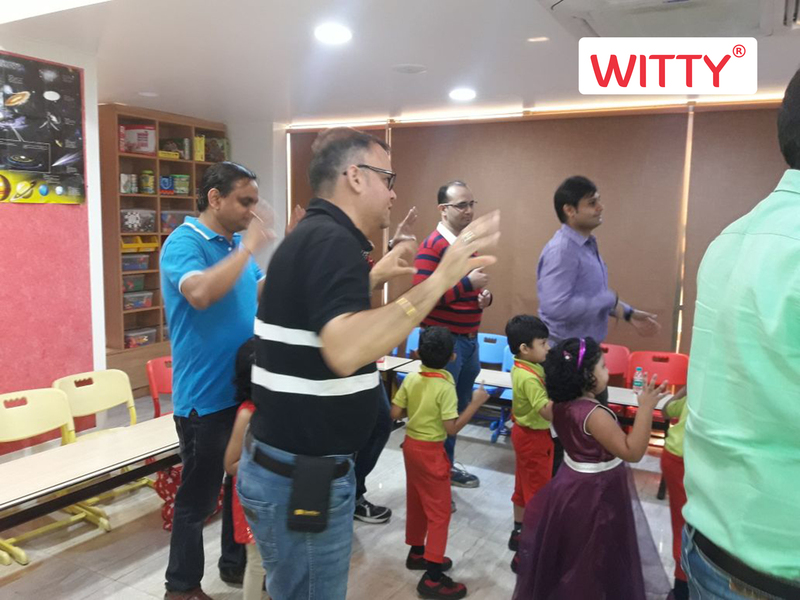 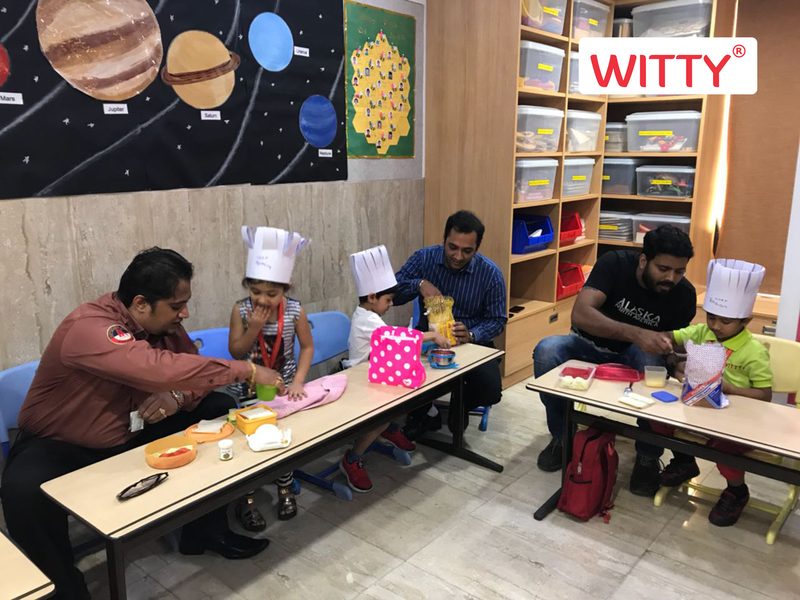 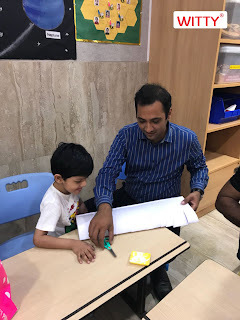 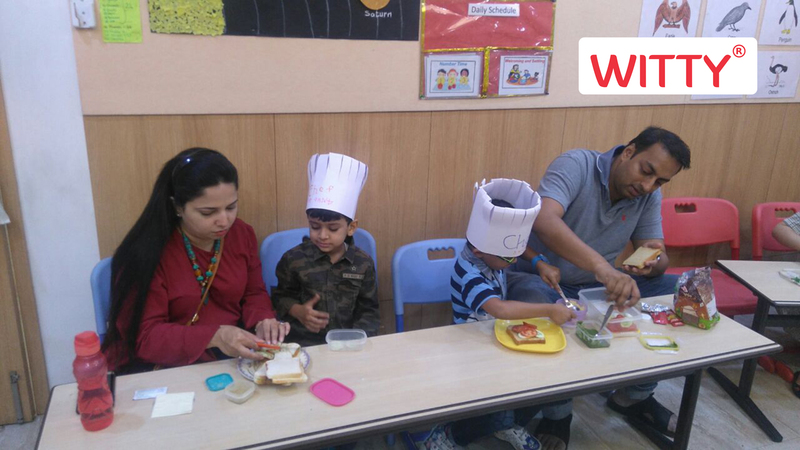 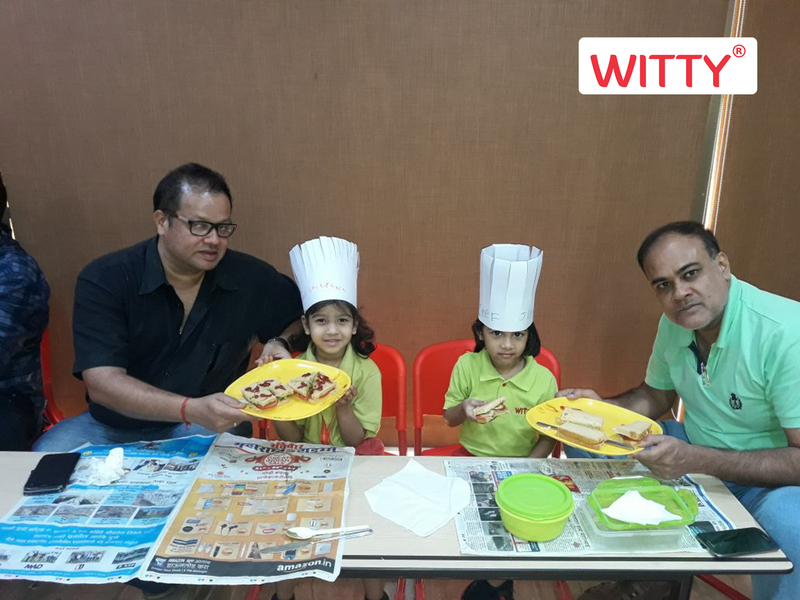 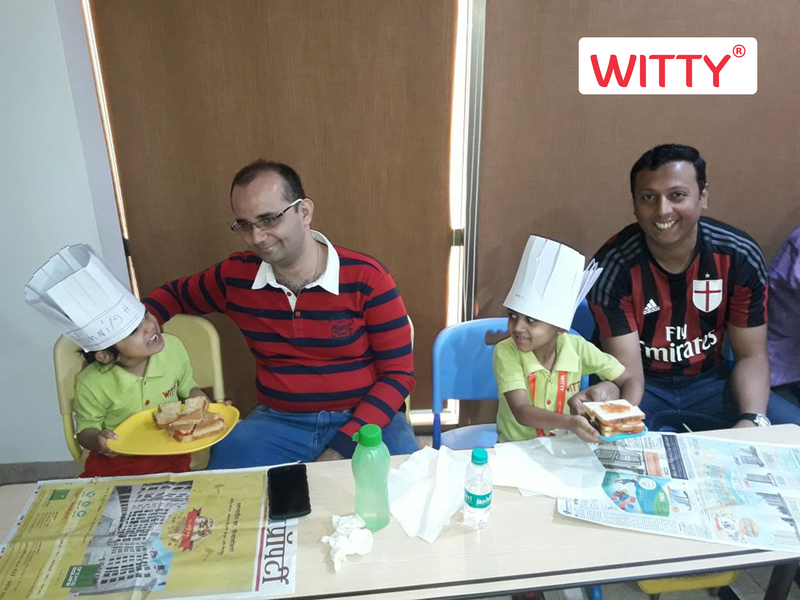 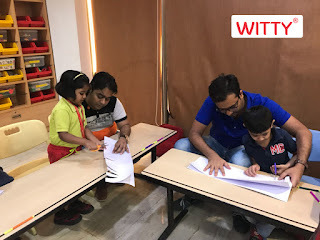 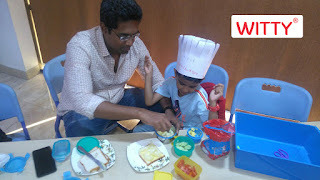 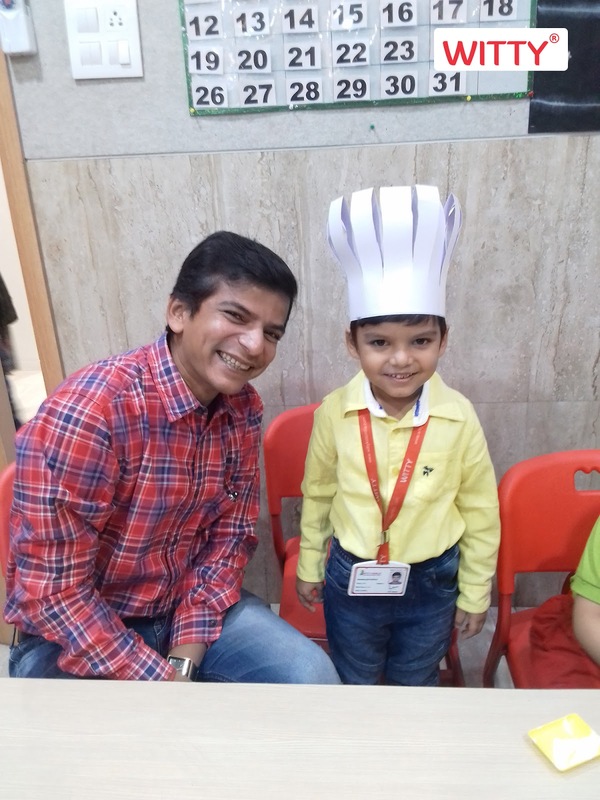 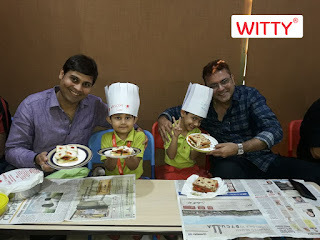 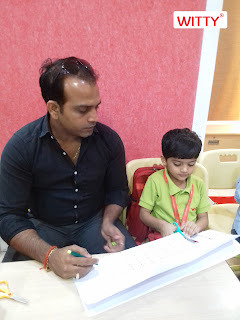 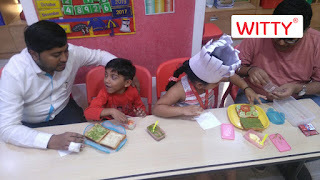 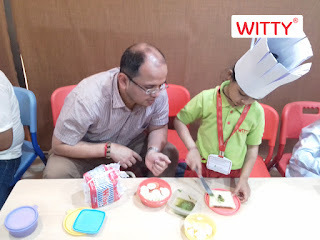 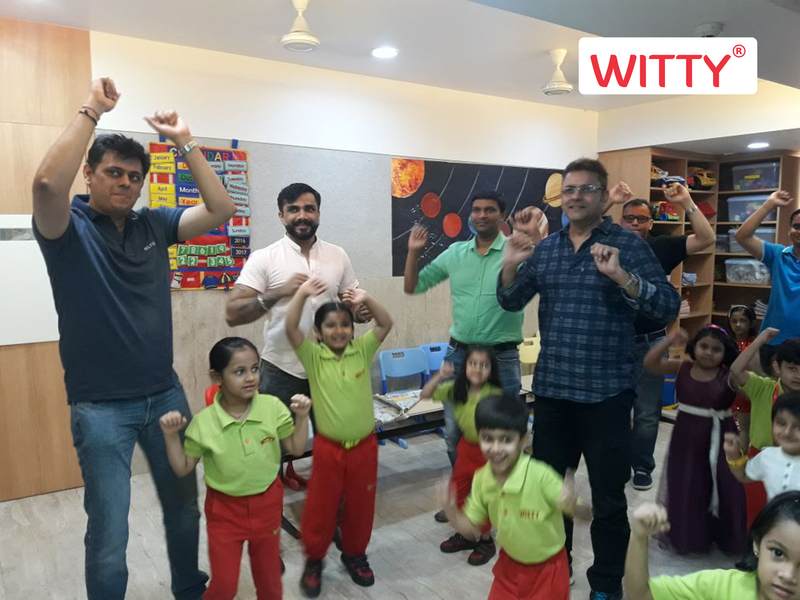 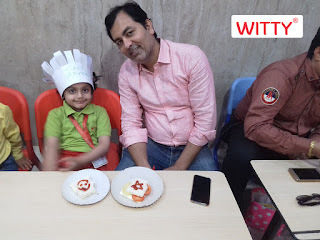 It was, Daddy's Day Out, for Jr.Kg at Witty World on Saturday 10th March 2018.At this exclusive Dad and Me event, called “Sing Along with Daddy” Father’s got firsthand experience of what a day in their child’s school was like....and they enjoyed to the fullest!!. The little ones, and their dads, recited rhymes/songs and made chef caps. 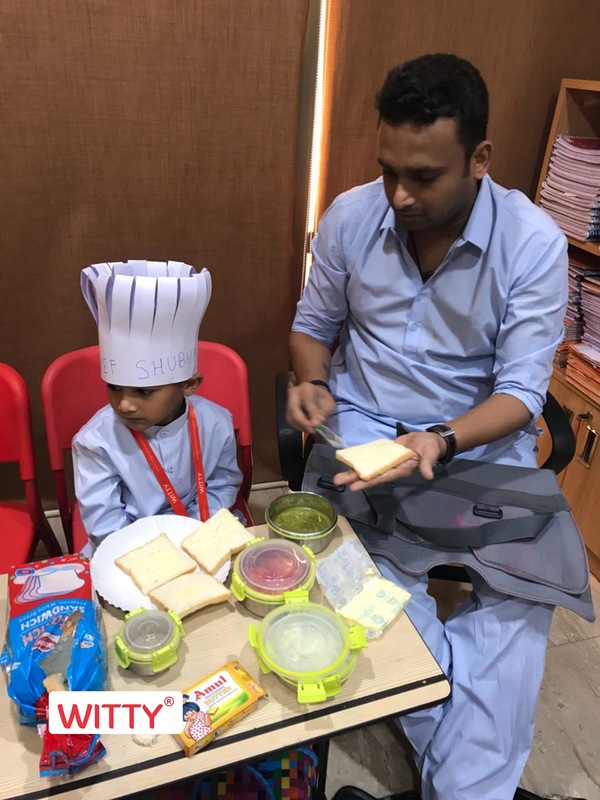 Daddies also shared their ideas of making healthy sandwiches with their little ones. 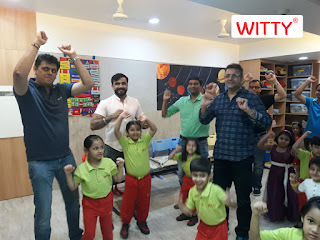 The event also had a lively session of some action songs on which they danced. 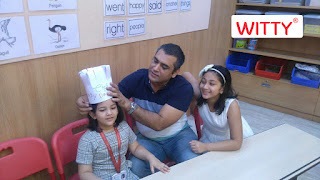 Most Importantly, Witty World celebrated Fatherhood by gifting papa’s precious memories that will last for a lifetime.